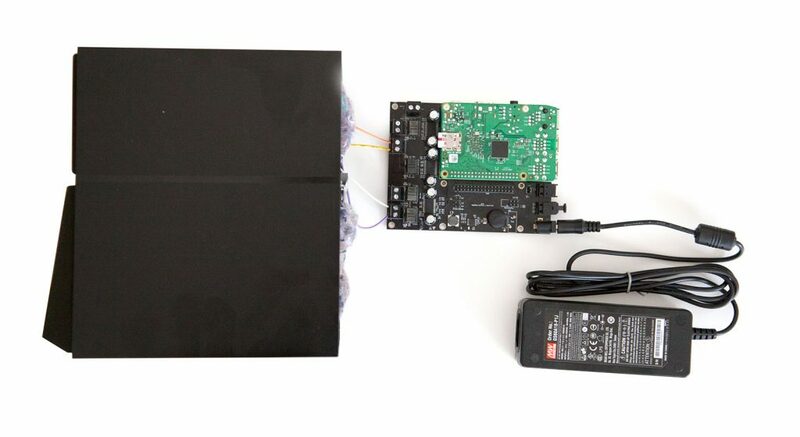 Plug the Raspberry Pi onto the Beocreate amplifier and connect the speaker cables. Also make sure, the MUTE jumper on the Beocreate board is removed. There are guides specifically for the BEOVOX CX50 and Beovox CX100. For the first step, we recommend to just connect the amplifier to the loudspeakers using cables, but leave it outside the speaker. This makes it easier to find and fix issues in the beginning. You can use the Beocreate 4 channel amplifier with any other speaker. For these, we recommend to use the Amplifier as a “normal” 2-channel amplifier to start with. We recommend to use the Beocreate software. This is usually the easiest way to start. To do this, download the Beocreate image from here. 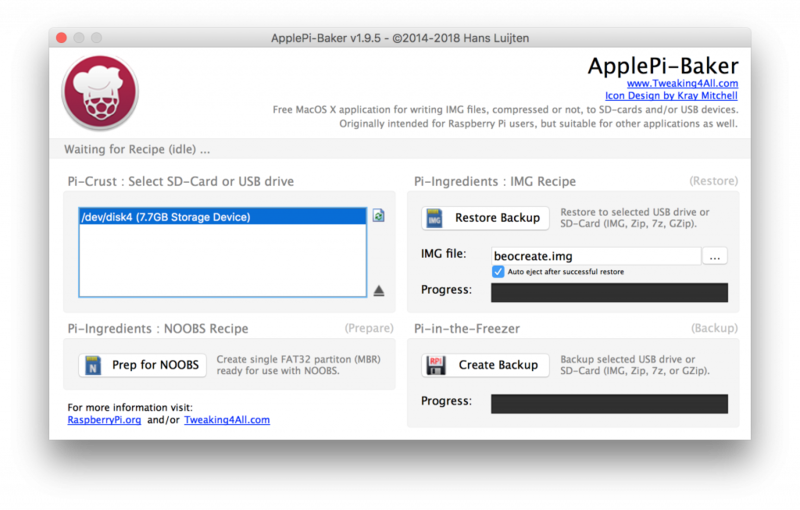 Write this software onto an empty SD card using a tool like Win32DiskImager (Windows) or ApplePiBaker (MacOS). 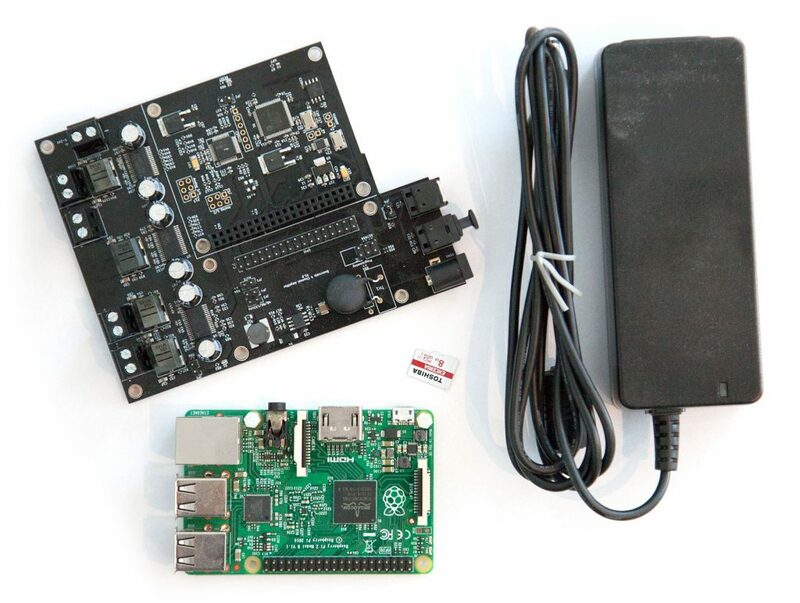 If you want to use other software, have a look at the documentation how to install the DSP toolset on Raspbian and how to use the Beocreate amplifier with any 3rd party software. For the initial setup, we recommend to connect the system to your LAN using Wired Ethernet. This usually simplifies installation compared to a setup over WiFi. If you’re using Windows, you should first install the Bonjour print services. These are required to automatically detect the Beocreate system in your network. If you’re using a Mac, this isn’t required as MacOS has these services already included. 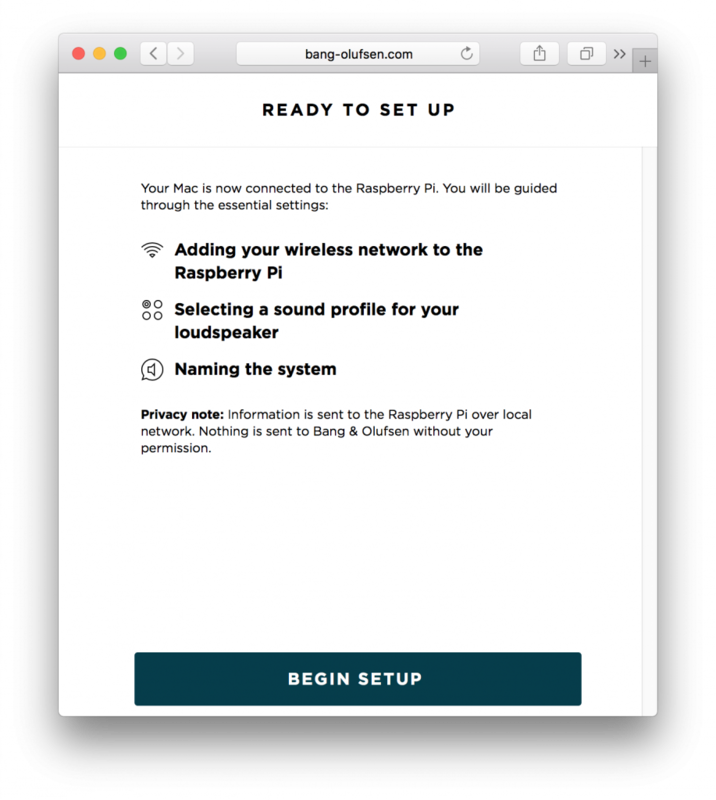 Now point your browser to http://www.bang-olufsen.com/recreate/setup/ and follow the instructions.